Each spring, before the Primary Election, the Club has an Endorsement Meeting during which members evaluate the candidates and vote to endorse for the upcoming Democratic Primary. Our endorsements are printed in a Voters Guide which is mailed to all registered Democrats in the Ward. The Club also holds an Annual Fundraiser featuring music, speakers and an opportunity to meet the candidates. The fundraiser helps offset the costs of printing and distributing the Voters Guide. The Barbara Daly Danko Forum is held in January during especially important primary elections to introduce the candidates for the statewide or local offices of highest public interest each year. All members of the 14WIDC are invited to attend and vote for candidates at the annual Endorsement Meeting. All community members are welcome to join us for the Annual Fundraiser. Where’s the 14th Ward? Here’s a map. See a short video on the history of the Club! PGH 14 WIDC Founders Tribute – 2014 from Ron Gaydos and Alex Goldblum on Vimeo. The Pittsburgh 14th Ward Democratic Club (14WIDC) is the oldest continuously-operating independent Democratic club in the country. Our members are registered Democratic Party members in Pittsburgh’s 14th Ward (Swisshelm Park, Squirrel Hill, Regent Square, Point Breeze, Park Place, North Point Breeze, and Duck Hollow) who believe in progressive, traditional Democratic Party ideals. Many of its members come from activist backgrounds and have worked for peace, justice, economic equity, civil rights, equal rights, and other issues. The Club was founded in 1964 by progressive, independent Democrats in the 14th Ward in the City of Pittsburgh PA, and has been in continuous operation since then. The Club is a membership organization of progressive Democrats who support liberal causes and good government. Many members are also active in peace and justice organizations. Each spring, the Club endorses candidates for the Democratic primary and distributes a Voter’s Guide to registered Democrats in the 14th Ward. 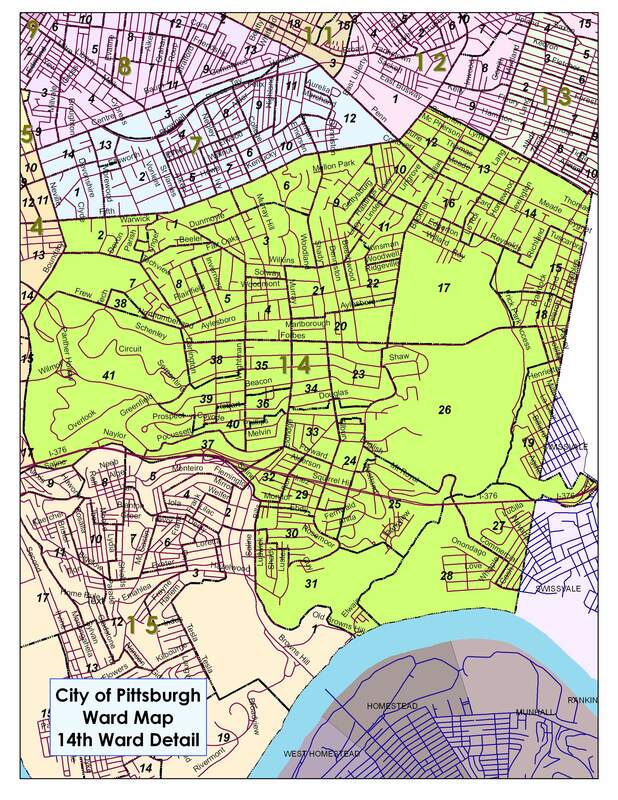 The 14th Ward is the largest Ward in the City of Pittsburgh and one of the largest political entities in Allegheny County and Pennsylvania. Although members are all Democrats, the Club is not a part of the official Democratic Party.